Clients of Brookhaven Retreat LLC, a unique residential treatment facility exclusively for women with mental health and/or substance abuse issues, visited the East Tennessee History Center on March 5. Brookhaven Retreat® LLC, a unique residential treatment facility exclusively for women with emotional and mental health challenges, and/or substance abuse issues recently treated clients to a therapeutic outing to the East Tennessee History Center in Knoxville, TN, followed by a trip to Hobby Lobby to purchase supplies for art projects. Whether you have lived here all your life or are visiting for the first time, it does not take long to realize that East Tennessee is a special place. But to truly know the area beyond the picturesque landscape of mountains and valleys, its interesting past must be explored. At the East Tennessee History Center in the heart of downtown Knoxville, the Museum is located across the street from the Tennessee Theatre, a few blocks from other historic attractions like Blount Mansion and James White's Fort. 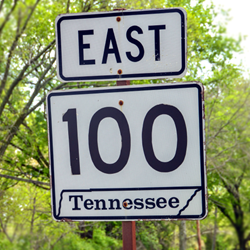 The East Tennessee Historical Society offers many ways to explore and discover the people, places, and events that have shaped the surrounding area. The award-winning exhibits at the Museum of East Tennessee History invite visitors to be in the presence of original artifacts of the past and hear first-person accounts of what life was like, and experience compelling, historic imagery.